As beautiful as they are functional, the race-tested Synto Evo Levers set the standard in a sea of "fugly," poorly made equipment. You own the most beautiful bike ever created.. shouldn't you choose your equipment with the same criteria? 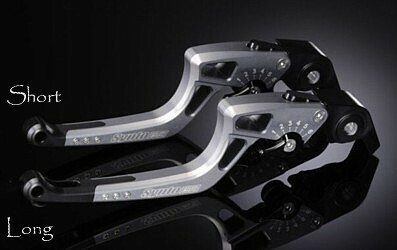 Produced in Germany, Synto Evo Levers are CNC machined out of aircraft-grade aluminum and coated with a clear anodized finish. 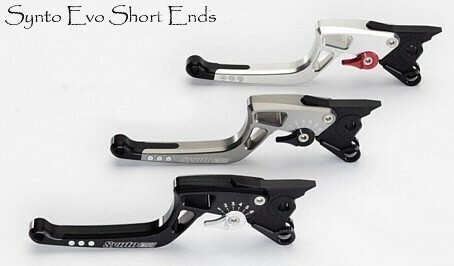 Each lever kit comes with both long and short lever ends. 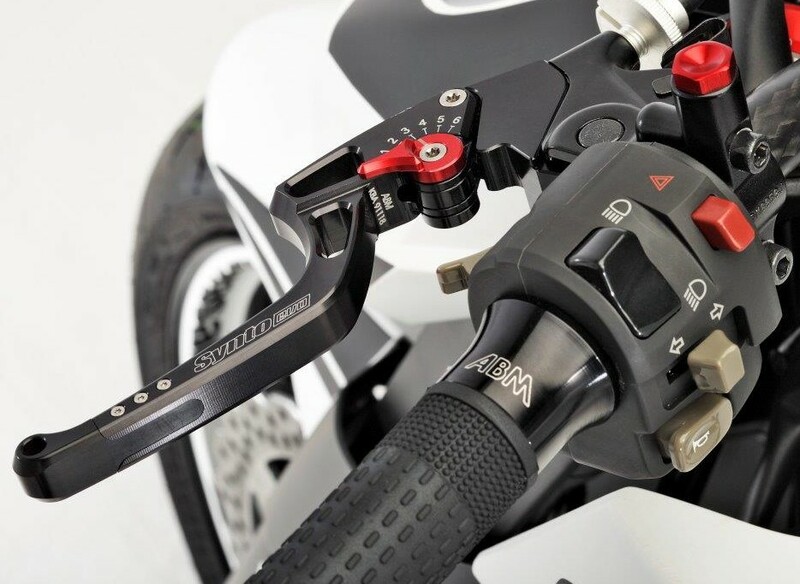 Each lever offers fully adjustable 6 positions so getting the ergos right on your bike has never been easier. Expect top quality with exacting specifications and tolerances for a smooth crisp feel with no slop as found on many aftermarket levers. From one of our customers.. "The subject levers just arrived and I wanted you to know how well they are manufactured …Clearly Aerospace Standard! 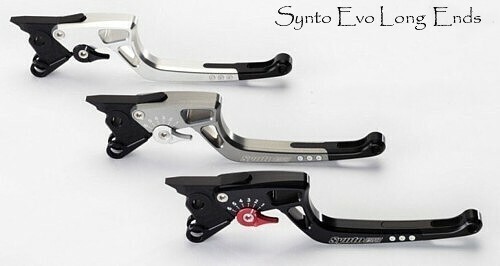 Michael S.
Note: The Synto Evo Lever Kits that we sell are sold as a complete pair.. Brake and shift lever. The standard BMW kit (below) will fit every model year K1300S, K1300GT, K1200S, K1200R, K1200R Sport, 2006-08 K1200GT, R1200GS, R1200GS Adventure, 2014+water-cooled R1200GS LC and GS Adventure LC, R1200R, R1200S, R1200ST, and HP2 Enduro. Every kit is a simple bolt-on affair. My first install took about an hour. Getting your ergo's right has never been easier. Color and Length Choices When Ordering: Colors Options Available for Levers - Titanium, Silver, Black / Color Options for Adjustment knob: Red, Silver, Black. The part that actually bolts to the bike is black on all kits. 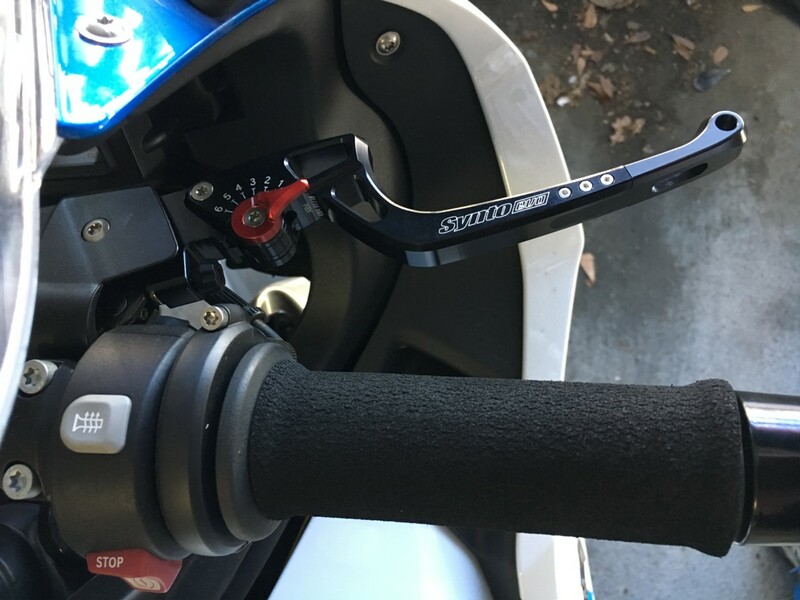 Customer chooses the color of the lever and the adjustment knob. Please specify in the message field when ordering the EXACT model and year of your bike and what color you want for the lever and what color for the adjusters. If you do NOT see your bike listed here.. email me with your request. I might be able to get a kit for you.